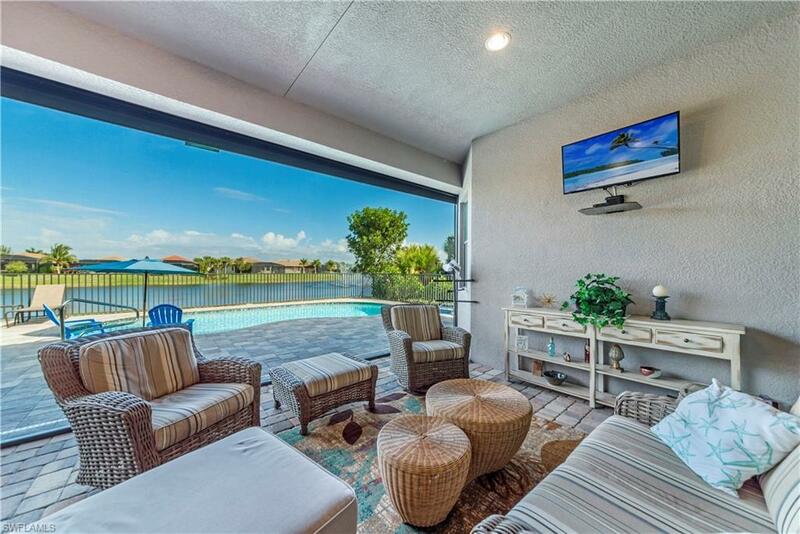 H.13932 - Incredible waterfront lake views & a fabulous brand new saltwater pool are just the start to this like new Toll Brothers home. 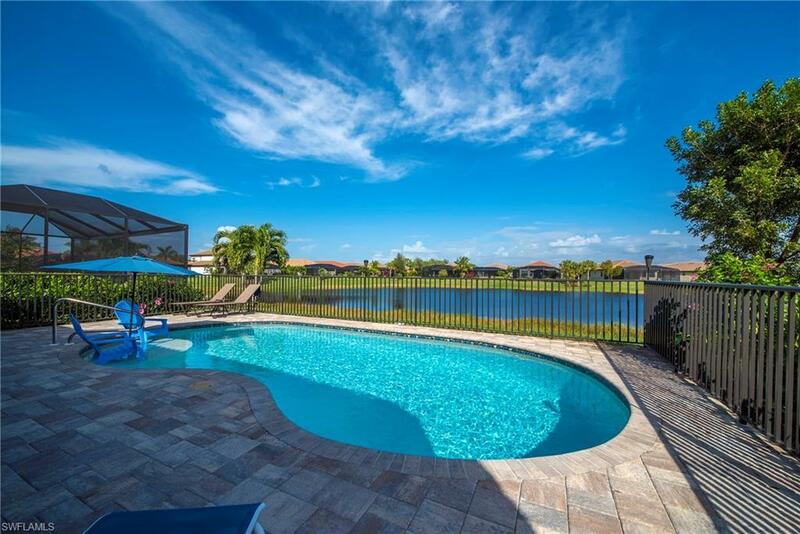 Featuring a huge screened-in outdoor living room & an open fenced-in pool area that is ideal for sunbathing. 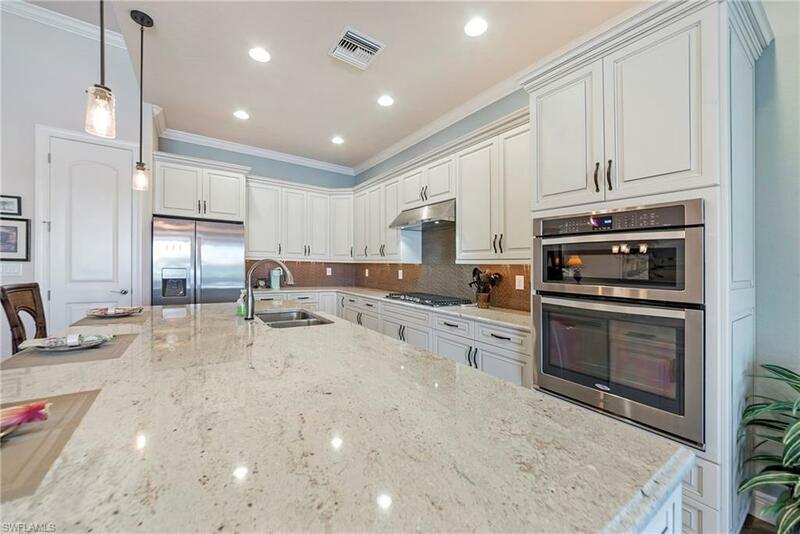 The great room floor plan offers a large gourmet kitchen with granite topped flat center island, glass tile back-splash, upgraded white cabinetry, xenon under cabinet lighting, upgraded gourmet stainless steel appliance package with 5 burner gas cook-top. You'll also find upgraded lighting & plumbing fixtures throughout, ceramic tile on the diagonal, 4 ft. garage extension with epoxy garage floor finish, electric roll up Storm Smart shutters, tankless gas water heater, frameless glass shower enclosure, coffered ceilings, privacy wall on the lanai, crown moldings & an upgraded electrical package with whole house surge suppression system. 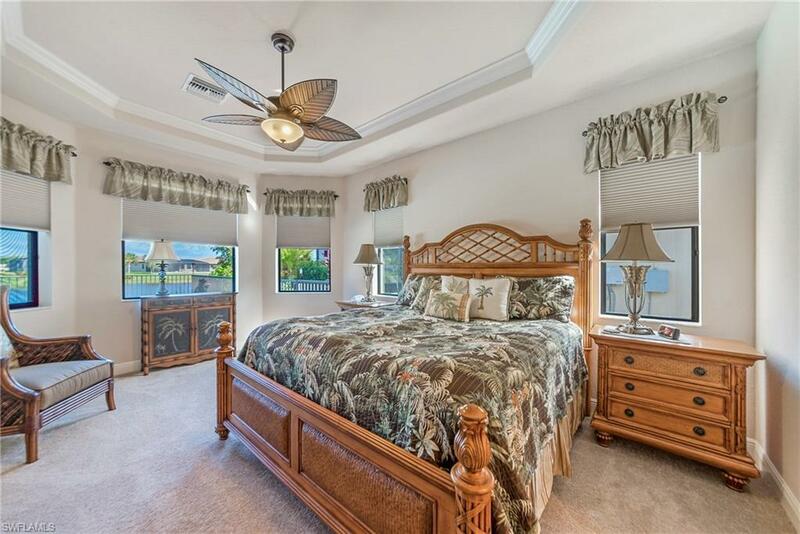 Cordova at Spanish Wells comes complete with a social membership to Spanish Wells Golf & Country Club featuring 5 Har-Tru Tennis Courts, Bocce Ball, Fitness Center, resort pool and casual & fine dining. 27-holes of championship golf is available. Just 3 miles to the white sand beaches and the Gulf of Mexico.